Boaters — and those interested in becoming boaters — can head down to San Diego Bay during the Shelter Island Boat Festival, Aug. 4-5, and experience firsthand the history and maritime culture of Shelter Island and the surrounding Point Loma community. The festival will be held at Nielsen Beaumont Yachtworks, 2420 Shelter Island Drive, in the heart of the yachting community in San Diego. Home to four vibrant world-class boatyards — Driscoll Boat Works, Nielsen Beaumont Yachtworks, Shelter Island Boatyard, and Koehler Kraft — Shelter Island is one of the few locations in Southern California where boaters can experience nearly all aspects of the marine industry and boating activities. The four local boatyards are known for their expertise in boat maintenance, yacht design, restoration and services. Festival-goers will be able to see first-hand the workmanship of master woodworkers and builders, riggers, engineers, carpenters and mechanics. Along with seeing the boatyards, Festival attendees will be able to see many yachts on display from brokers from the Shelter Island area and Southern California. In addition, visitors new to the boating world can learn more about on-the-water fun with a brief sailing lesson from J World San Diego sailing school, or take a spin in a Duffy electric boat from San Diego Comfort Cruise, one of Shelter Island’s newest charter businesses. For those interested in stand-up paddleboarding, YOLO boards will be in the water, hosting hands-on demonstrations. Throughout the weekend, festival-goers can watch and participate in a variety of presentations with boating-savvy speakers in the Shelter Island Experts series. A wide range of boating industry experts and historians from the local maritime community will speak on topics such as “Living History of Shelter Island” and “How To Sell Your Boat” — and there will also be a behind-the-scenes tour of Shelter Island’s Nielsen Beaumont Yachtworks. At the festival, attendees will get rare opportunity to become immersed in all things boating, in one convenient location — with an enviable in-the-water showcase of new and brokerage sailboats and powerboats, along with the latest services and accessories spotlighted in exhibits on shore. Along with the festival’s display of yachts, attendees can enjoy the sounds of local musicians, enjoy sailboat rides and participate in a wide array of activities. Hours are 9 a.m.-5 p.m. Aug. 4-5. The festival is open to the public, and admission is free. 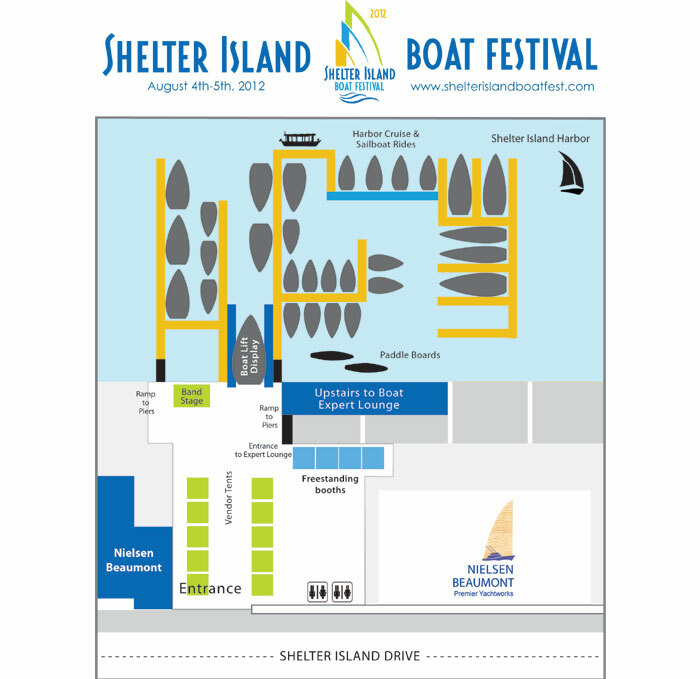 For more information, call the festival office at (619) 224-6200 or visit shelterislandboatfest.com. 1 p.m. — Capt. Anne Kinner: Where Are You Going?